Step forward Alex Cartwright (Andrew Scott), MI5 Chief Counter Terrorism Officer who must find out the truth. But it’s easier said than done, as he discovers that whoever ordered the assassination has covered their tracks very well indeed. Along with Ellen Townsend, his trusted second-in-command, Cartwright finds himself embroiled in a race against time which leads him into the murky heart of Westminster… and beyond. This was, for me, another experiment in listening to thriller, rather than reading them. For the main, I really enjoyed this: the performances, production and story are all excellent. The episodic nature was interesting, giving it the feel of a TV series going on in the background (as is normal for me, I listened to this walking about town and traveling). This is not an unusual state of affairs for me, as I often have familiar TV series on in the background while I’m doing low-attention activities. However, because this was brand new for me, I also found myself stopping what I was doing to pay attention. (Once even stopping in the snow so I could give it my full attention.) It’s well-paced, unhurried, but without being plodding. There’s definitely a great British sensibility to it — so different from the US-based or international thrillers I tend to prefer. If you’re a fan of recent political dramas like the Bill Nighy-starring Worricker trilogy (Page Eight, Turks & Caicos and Salting the Battlefield) or movies like Closed Circuit, then this should appeal. If you just like thrillers, then this should appeal. I enjoyed this, and it certainly made me think more about trying more audio fiction. Recommended. 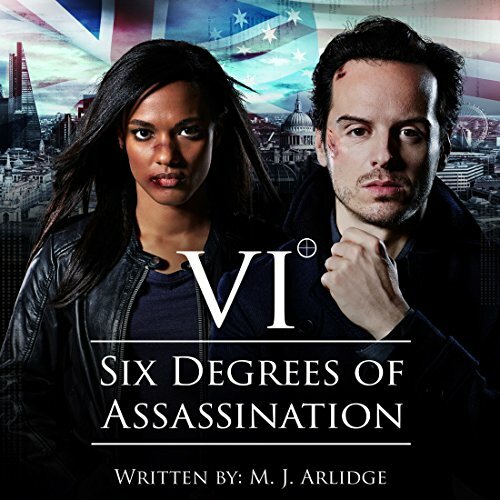 Six Degrees of Assassination is published by Audible. You can listen to the first episode for free.